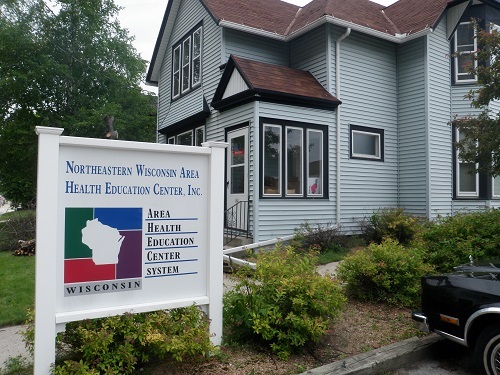 The Northeastern Wisconsin Area Health Education Center (NEWAHEC) serves eleven counties in Northeastern Wisconsin. NEWAHEC’s office is located in the historic downtown area of Manitowoc, along Lake Michigan. NEWAHEC’s region includes the tourist area of Door County, farming areas, lakeside communities, smaller rural communities, the Fox River Valley industrialized corridor, and suburban areas north of Milwaukee. NEWAHEC’s mission is to enhance access to quality health care, particularly primary and preventive care, for the underserved population in northeastern Wisconsin. Through the prudent use of available resources, we achieve our mission primarily through education of present and future health professionals, by developing creative partnerships with academic institutions and community organizations. Brown, Calumet, Door, Fond du Lac, Kewaunee, Manitowoc, Ozaukee, Outagamie, Sheboygan, Washington, and Winnebago.